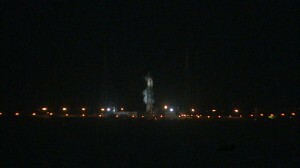 SpaceX-3 Falcon 9 and Dragon at launch pad in April. The propellant tanks of the Falcon 9 are made from aluminum-lithium alloy while the top and bottom domes of the tanks are aluminum. SpaceX named its rocket after the Millennium Falcon from Star Wars. 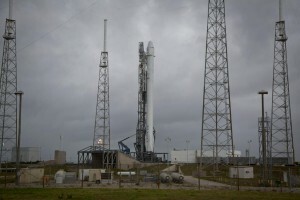 For the true devotees out there, this Falcon 9, called v 1.1., is an upgraded version of the original. It has the stronger Merlin 1D engines and other updates to the first design. Author Steven SiceloffPosted on September 21, 2014 Categories UncategorizedLeave a comment on What’s an Aluminum Falcon? 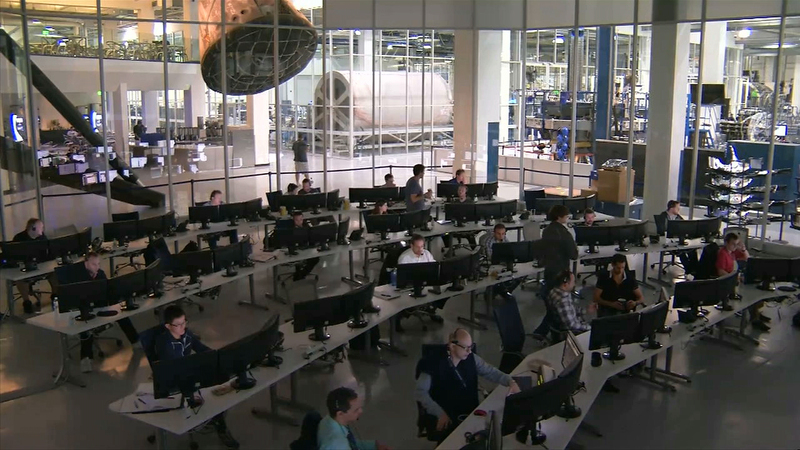 This morning’s SpaceX launch will be coordinated through the company’s launch control center here in Florida and the SpaceX mission control at the company’s headquarters in Hawthorne, California. 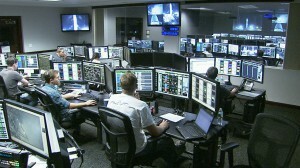 NASA’s Mission Control in Houston is also taking part in this morning’s countdown since the Dragon spacecraft is delivering 2.5 tons of supplies to the International Space Station. The Dragon spacecraft is running on its batteries now. Once it reaches orbit, the spacecraft will deploy a pair of solar array “wings” that will recharge the batteries. The Jet Propulsion Lab in Pasadena, California, developed one of the signature experiments for the station, the ISS-RapidScat. The device is flying inside the trunk section of the Dragon and will be connected to the outside of the station’s Columbus module which will give it an unobstructed view of the Earth more than 200 miles below. From there it will study the ocean winds on Earth and track hurricanes and storms. You can read about ISS-RapidScat in depth here and find out five important things about it here. Refined kerosene and liquid oxygen have been pumped into the tanks of the Falcon 9 this morning as the launch team progresses through its checklist. The nine-engine first stage will push the rocket and spacecraft off the pad with 1.3 million pounds of force. About 2 minutes and 41 seconds into flight, with the rocket about 50 miles above Earth and moving at supersonic speeds, the first stage engines shut down and the stage falls away, leaving the single-engine second stage to push the Dragon into orbit. 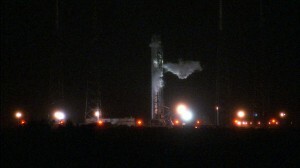 Nine and-a-half minutes after launch, the Dragon will fly free and open its solar array wings. It’ll reach the International Space Station on Sept. 23. NASA designated this mission CRS-4, but it is number 1 in the hearts of scientists who are seeing their experiments fly to the station for investigations. The gear being taken up on this flight will allow the completion of 255 research projects which will focus on everything from the Earth’s winds to the way bone density is affected on a molecular level in microgravity and how drugs could affect the deterioration. 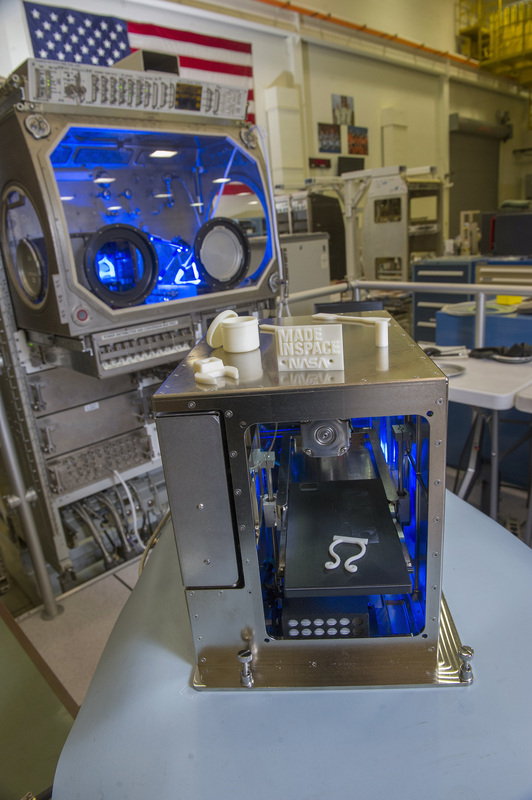 There’s also a 3D printing system (pictured) to be evaluated in orbit and an experiment to examine how electroplating changes when performed in microgravity. Air Force Weather Officer Mike McAleenan raised his chances of acceptable conditions at launch to 90 percent. 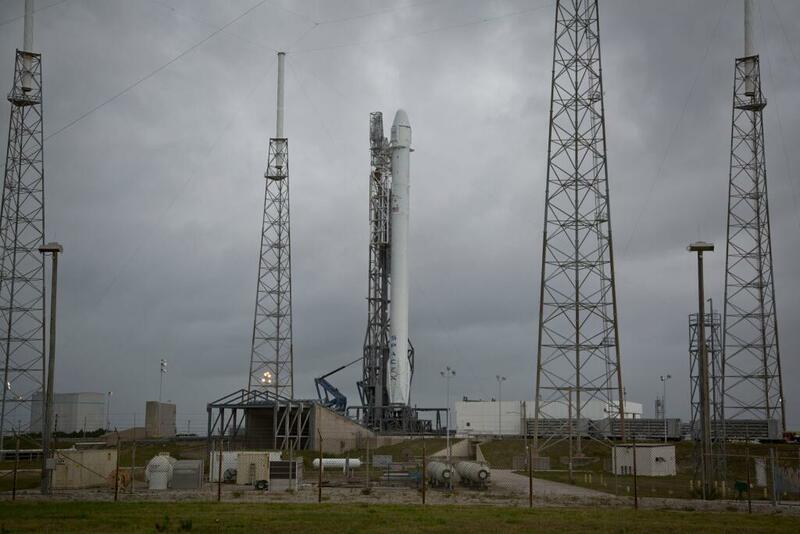 He will go over the detailed forecast in a few minutes with the launch time. Good morning from Florida’s East Coast where the weather has greatly improved during the last seven hours ahead of tonight’s attempt by SpaceX to launch the CRS-4 cargo mission to the International Space Station. 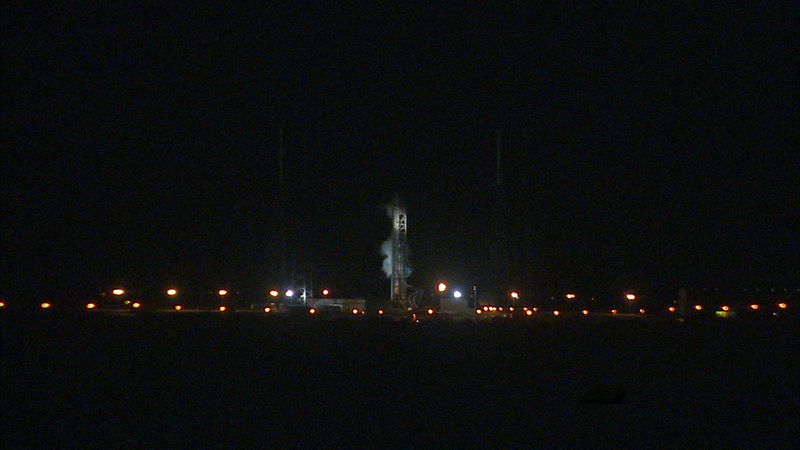 Liftoff is slated for three seconds after 1:52 a.m. EDT from Launch Complex 40 at Cape Canaveral Air Force Station. An upper level trough that brought rain and thick clouds over the launch area Friday night and Saturday has mostly moved out of the area and forecasters predict a 70 percent chance of acceptable conditions for this try. We will cover the milestones of tonight’s countdown as we detail some of the elements that make this flight important for the space station crew and the research to be performed there. 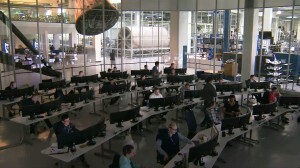 You can also watch the countdown and launch on NASA TV and read more details about the mission on www.nasa.gov/spacex. 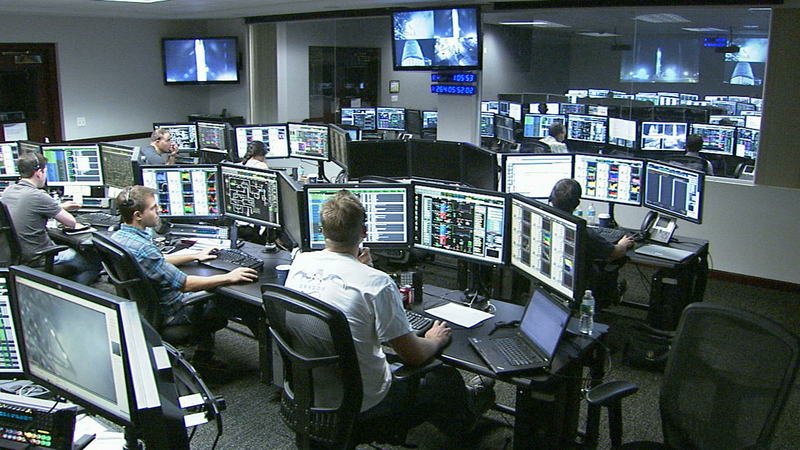 The SpaceX launch control team has been given a “go” to fuel the Falcon 9 rocket for the launch of SpaceX CRS-4 to the International Space Station. The weather forecast remains 70 percent “go” and there are no current violations of any launch weather criteria. Our continuous countdown coverage here and on NASA TV begins at 12:45 a.m. for a 1:52:03 a.m. EDT liftoff.